Ready to make a statement at prom or pageant? 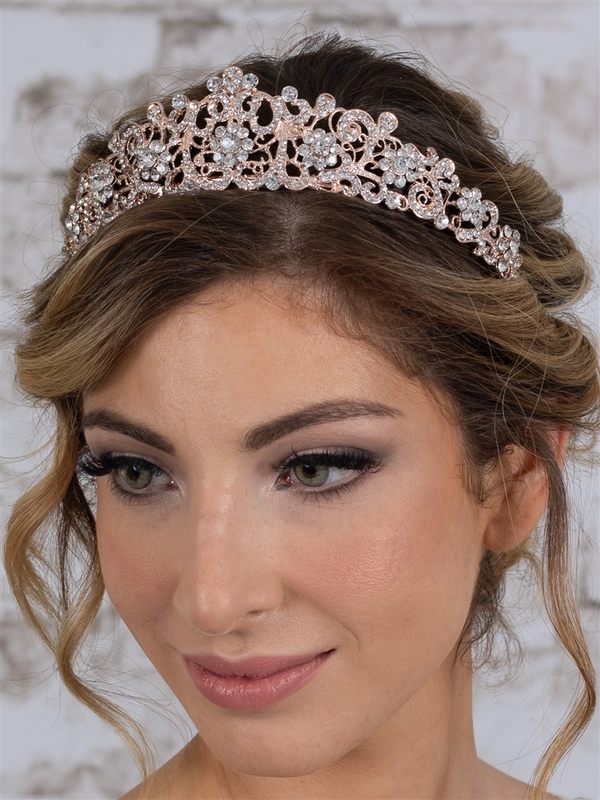 You'll be queen for the day in this chic rose gold retro tiara. Measuring 7" w x 1 1/2" h and studded with sparkling crystals, it would also make a beautiful splash for any bride at a black tie wedding. Is your jewelry display ready for proms and pageants? It will be when you add in this stunning vintage tiara! The sparkling crystals and 14K Rose Gold finish of this wholesale tiara give it the look of real couture jewelry at a fraction of the cost.